Civilization VI: Gathering Storm is just one week away. All the new civs are revealed, as is the series’ first ever dual-civ leader, Eleanor of Aquitaine, and we’ve spotted a few things in our time with the game so far that we wanted to ask about. In other words, we’ve learned a lot since the last time we had the chance to talk to the devs back at Gathering Storm’s announcement. Ed Beach, lead designer on Civ VI and the expansion, answered a few of these burning questions via email. If you’re looking forward to Civ VI’s latest expansion, we’ve got plenty more to read in this short yet agonisingly long final stretch before release. You can check out our first impressions here (a full review will, naturally, be coming soon), our overview of the new civs and features here, and we’ve got the first two of what will be eight in-depth guides to playing the new civs ready now: here’s the Maori, and here’s the Inca. PCGamesN: Where did you get the idea for a leader that can serve two civs? Ed Beach: Eleanor had been on our radar screen as a potential leader candidate for some time given that she was one of the most powerful women of the Middle Ages. But choosing her to lead England or France alone was always a bit of a stretch since there are so many well-known candidates for those nations. However if she could lead both nations, and fill in slots as two alternative leaders – now that was a win across the board! Is this functionality available for modders? Absolutely. Our game rule database fully supports this. Are you expecting to release any more dual-civ leaders, or any more alternate leaders for existing civs? It looks like she’s a very popular addition so we’ll have to consider it. 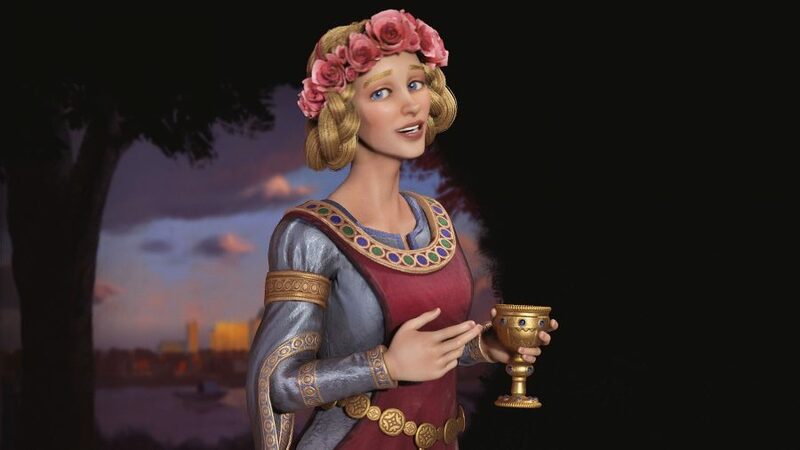 Meanwhile I see that the community is already talking about good candidates from history such as Charlemagne, Kublai Khan, and Charles V.
Was it a challenge designing Eleanor to complement both France and England? They’re very different civs. It was tricky, so we wanted an ability that would be helpful for any civ. I think we hit on that using Loyalty to flip an enemy city directly to your control. It’s very powerful as the city suffers no war damage when it undergoes this process. You receive all the districts, improvements and wonders untouched! England’s old unique ability would’ve been really strong with her. Did she factor into the decision to change it? We really felt like England was a great civilisation to tie to the new Industrial Era additions featuring canal-building, coal power production, and railroads. So that was the impetus for that particular change, and as fans have noted, much of the prior British Museum ability moved over to Kristina as the leader of our new Swedish civ. I actually think an Eleanor with the old British Museum ability could have been too powerful. What tips do you have for England and France players looking to use Eleanor? Her ability takes some time to set up since it is not until the mid-game that you will find powers along your borders that are starting to fall victim to Dark Ages. So start out by just establishing a collection of Great Works, governors and spies. And then be aware for opportunities along your borders and use these assets to apply pressure to those locations at the right time. How did you approach her look, voice, and mannerisms? I gather there are very few images of her. Exactly true, so that allowed our art team to create their own unique look for her. All we were sure of was that she was deemed a great beauty for her time and was clearly charismatic. The language she speaks is Old Occitan, an early Romance language closely related to current Catalan. The civs this time around feel more complex, and to push the player toward certain playstyles more forcefully, than ever. Is this intentional? Has your philosophy on civ design changed since the base game? It is intentional, but not really a change in philosophy as much as the fact that now we have a deep understanding of how all our game systems interact, and what are really interesting levers to pull to shake up player expectations. We hit the same point with Civ V when we rolled out Venice, a civ that couldn’t build settlers. Is there a civ that you’re especially proud of, or especially enjoy playing? I keep coming back to the Maori because starting out in the middle of the ocean is a huge challenge, but a very entertaining one. The first 20 turns where you are scouting for a good spot are full of tension as you try to decide when it’s time to commit to an area for your first city. Knowing that there is no region of the map dedicated for your development just adds a lot of pressure to that choice. I’m also very proud of this civ because it’s received a very warm reception from our fans from that area. We tried very hard to be sensitive to Maori culture and to portray their history and environmentalism in a positive and respectful way. How are resolutions chosen for the World Congress’s agenda? Are they random? Much like the dedications and Dark Age policies of Rise & Fall’s era system, there is a pool of possible resolutions for each era of the game. Thus, resolutions like Arms Control and Deforestation Treaty that wouldn’t make sense early in the game are blocked from appearing until later eras. So yes, the resolutions are chosen at random (from those available within that era), but this a highly constrained form of random assignment. Civ V only had two expansions. 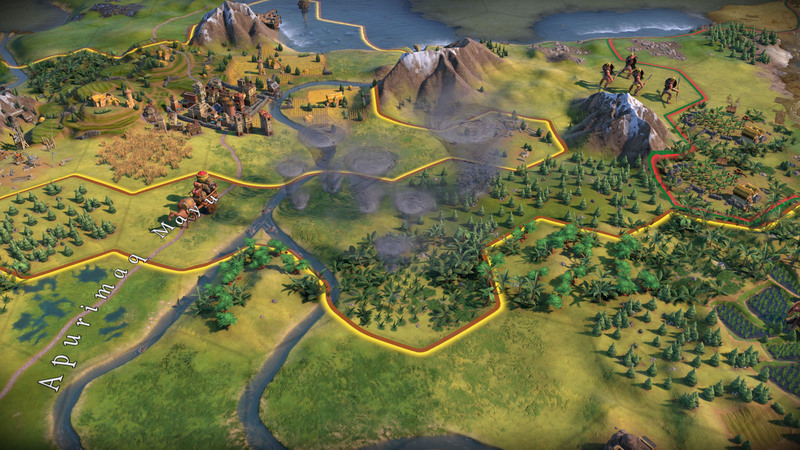 Will Gathering Storm be the last for Civ VI? I can’t comment on any future plans but we do feel like Civilization VI’s popularity is just peaking right now. We’ll be sure to continue to support it with the updates and additional content it deserves.